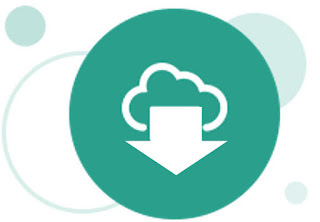 Here's a short blog on streaming to the OAC Essbase cloud from a MS SQL Server source. The team at essbaselabs have written a nice blog on streaming Essbase data loads and the Oracle docs are here. Run the dataload command. Here I'm passing the SQL query into the command but you can also store the query in your Essbase rules file:esscs dataload -application Sample -db Basic -rule SQLData.rul -stream -connection MSSQL_EPMDB -query "Select * from Sales"
So, you’ve got Oracle Autonomous Analytics Cloud and you want to schedule a backup of your BI and Essbase applications. However, at the time of writing this blog there aren’t any documented REST API commands to perform an automated BI BAR extract (these are in the pipeline). This means there isn’t an obvious way to schedule your own non-Oracle backup. 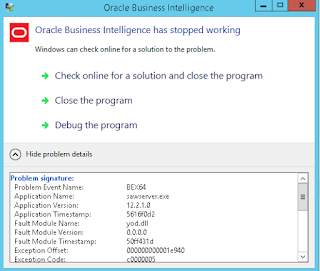 BI Admin Tool and Catalog Manager to the Rescue! 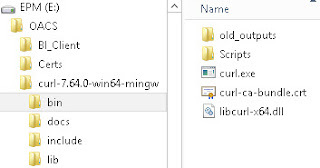 Fortunately, you can use the command line to launch BI Admin Tool and Catalog Manager commands. There’s not much documentation so I’ve blogged how you use these tools to connect to your Oracle Analytics Cloud instance. In my previous post (here) we saw how it's possible to bulk import users using a CSV file. Here we look at how we can automate creating/importing users using the IDCS REST API. Okay, back to the IDCS REST API. Here are the links to the Oracle documentation I used. Kudos again to the documentation team! A key part of Cloud SaaS is integrating with your existing systems. This blog will show you how to bulk import users manually via the IDCS UI. The second part of the blog (here) will show you how to do this in an automated way using CURL and the IDCS REST API. 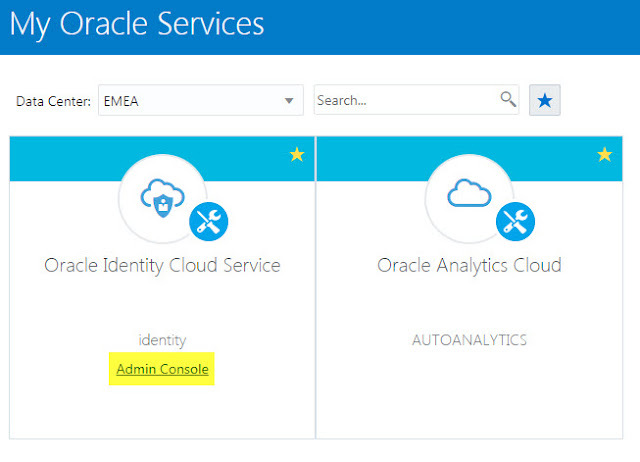 IDCS User Federation All user/group security and roles for the Oracle Analytics Cloud are managed within the Oracle Identity Cloud Service. IDCS allows you to add users natively or use federation to authenticate your users with an external identity provider. In my case we used Microsoft Active Directory Federation Server (ADFS) as our authentication provider. 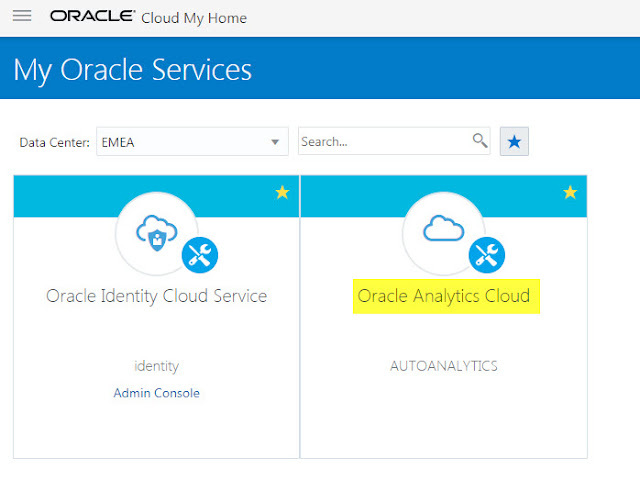 OAC - How to Create Oracle Autonomous Essbase and OBI Analytics Cloud Instances? 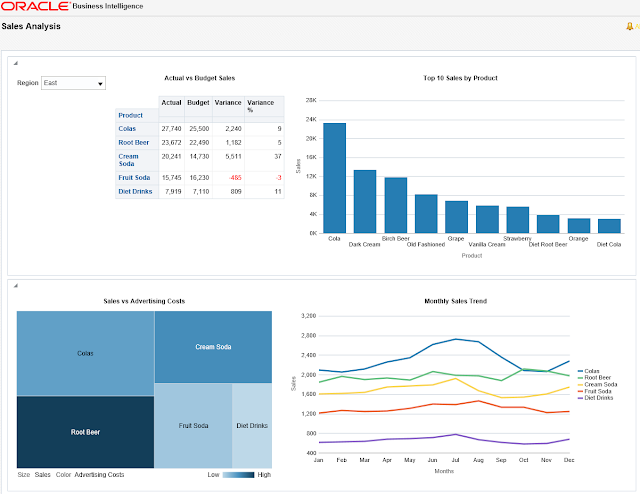 I've recently been implementing Autonomous Oracle Analytics Cloud for a customer. The customer had Essbase and OBIEE on-prem and we have migrated everything to the Oracle Autonomous Cloud. It's been an interesting process and whilst there have been some small niggles the OAC offering is a very simple to use and powerful platform. In this OAC blog (the first of several if I get the time!) I will show how easy it is to spin up new OAC instances. We shall create an Essbase instance and a Business Intelligence Enterprise instance, each running on one OCPU. With the Autonomous Cloud, Oracle have made this process super simple! 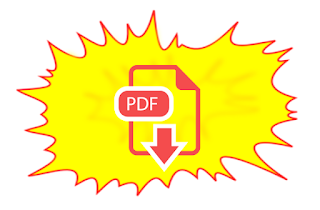 I know it's old skool, but many users in the EPM on-prem world use the Financial Reporting bursting feature to burst out 100s of reports to the file system and automatically move them elsewhere for consumption. I didn't think that this was possible in PBCS but I was wrong!